Kickboards are the swimming floatation device. It is a great tool for swimmers. A kickboard allows targeting your lower body which is helping you to work on legs strength and also improve your kick technique. Many wanted to know how to use a kickboard. This post is for this. Kickboard target your legs, isolating your legs so that you can practice leg kicking stroke, helps to improve balance, also works on leg strength. If you don’t have a kickboarck then select from the best kickboards for swimmers. 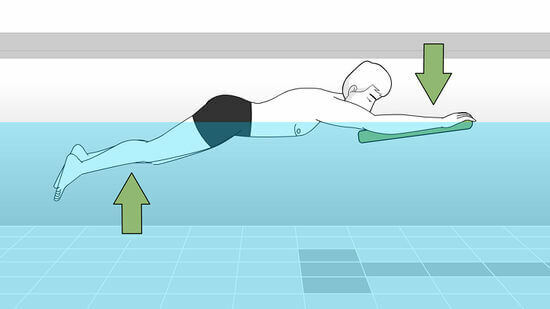 Hold the kickboard with your hands wrapping over top edge and your arms should be straight but in relaxed position. ickboard isolate your legs for conditioning exercieses and can also be used for improving leg strength while swimming. Kicks can be short. The beginners can also follow the above rules. but there are some easy steps for beginner swimmers. Rest your chest on top of the kickboard. It will help to float easily. Practice breathing techniques. Extend the kickboard straight. The use of kickboard for pro swimmers has some little difference. Extend the kickboard straight in front of you. Press down lightly on the board with your arms. Try the flutter kick. Keep your legs parallel. Work on the breaststroke kick. Hug the kickboard to your chest. Lay back and lift your hips up. And let your body fall back into the water and raise your hips. Concentrate on your backstroke kick. Kickboard provide confidence to swim for begainers, both young and old. 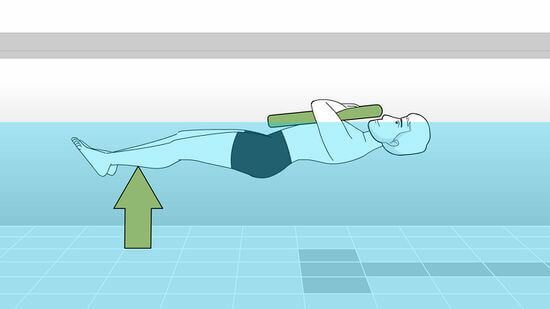 Swim instructiors use kickboard often as a flotation device. It helps in buoyancy and to isolate their desired movements, such as flutter kick in freestyle or dolphin kick in butterfly. Kickboards boost confidence by keeping the swimmer of all age afloat. By using kickboards allows swimmer to focus on workout for hips, legs and stomack muscles. Athletes oftenn choose a kickboad for leg strength workouts. Some swimmers just relay on their arms while swimming. 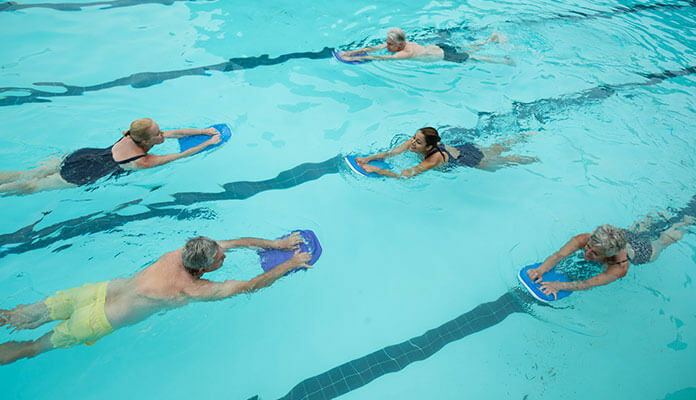 By using a kickboard, it allows swimmers to rest the arms and workout for legs.